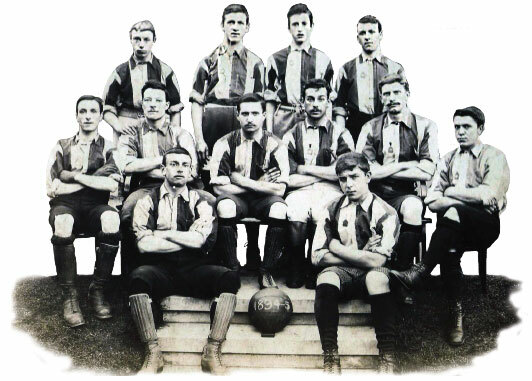 A football club has represented Wimbledon since 1889. Originally formed as Old Centrals by boys from Central School, the club became Wimbledon Old Centrals and then plain Wimbledon FC as they moved from ground to ground around the borough in the early years competing in local London leagues. After a couple of years on the site of the Greyhound Stadium, in 1912 the club played its first game in its new ground 100 yards further up Plough Lane against Tooting Town. The club became one of the giants of the non-league game, winning the FA Amateur Cup in 1963. In the 1970s their FA Cup exploits gave Wimbledon national prominence as they defeated First Division Burnley before taking League Champions Leeds United to a replay. This prominence resulted in election to the fourth tier of the Football League in 1977. Incredibly within nine years the club reached the top division of the Football League, finishing sixth in their first season there. Their most famous hour came in 1988 when they defeated Liverpool to lift the FA Cup and paraded it triumphantly through the streets of Merton for a civic reception. Wimbledon FC went on to become founder members of the Premier League and a 14 year stay in the top flight lasted until 2000. The Taylor Report demanded all-seater stadia, which prompted the club to groundshare with Crystal Palace from 1991. Reserve team games were played at Plough Lane until the end of the millennium when the council removed the covenant insisting that it be used for sports purposes. It was subsequently turned into flats. In 2002 an FA Commission allowed the club’s owners to move the legal entity to Milton Keynes, where they were subsequently renamed. 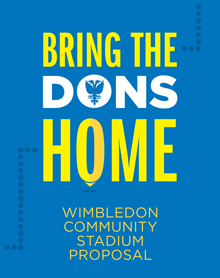 The outraged fans voted unanimously to found a new club to keep the name of Wimbledon’s football club alive. AFC Wimbledon began life at the lowest level of senior football in August 2002: the Combined Counties League. In a second incredible rise, five promotions in nine years saw Wimbledon regain their Football League status in May 2011. 2013-14 is their third season back at the League Two level. Since refounding they have played their home games just over the borough boundary at Kingsmeadow. A return back to a new home in Merton has been one of the reborn club’s stated aims since 2002.